British folk/rock group from Newcastle upon Tyne established in 1970 by the late singer-songwriter Alan Hull. 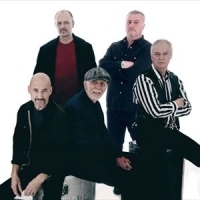 They regrouped in 2013, featuring the return of Ray Jackson plus Paul Thompson, Dave Hall-Denholme, Charlie Harcourt, Steve Daggett and Ian Thomson. Ray retired from the band in 2015, with former founder member Rod Clements returning to the fold. Key releases include the albums "Nicely Out of Tune", "Fog on the Tyne" and "Happy Daze". Sat 5th Oct 2019 LindisfarneLyric Theatre (Carmarthen)More Info..